Ohh newborn sessions. 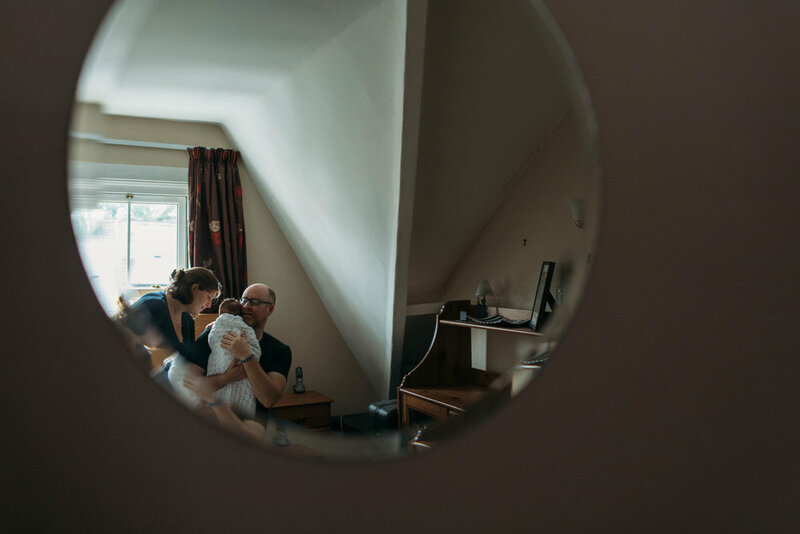 They’re so quiet and peaceful, so naturally raw and emotional because I’m photographing people deep in the midst of the transition into parenthood. It’s a shift for you individually, and for both of you as partners. It connects you, tears you apart, rebuilds you again and ultimately changes you into something completely new. I love this stage of life, of babies and of adults, and I remember it for myself so well. The highs and the lows, the good times and the bad. It’s all there, and it’s something that every new parent goes through. 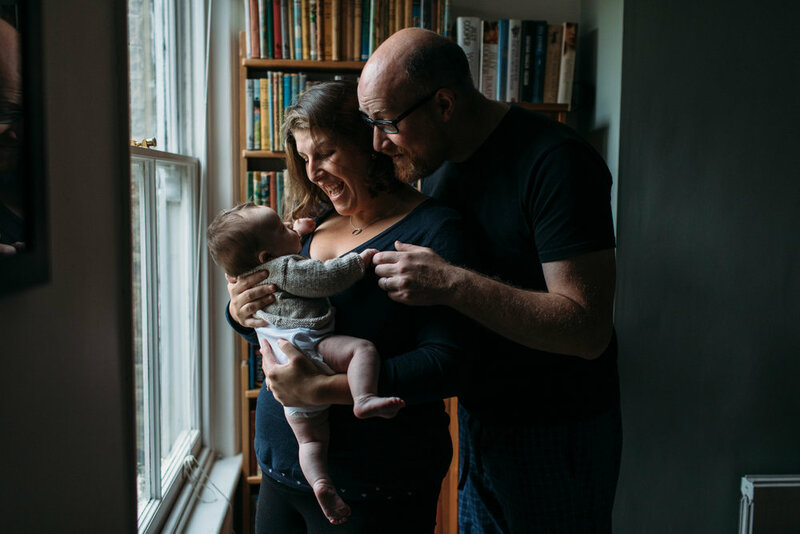 It’s a privilege to capture this time in a family’s life, and as both a photographer and a person who craves connection, emotion and something that goes beyond the surface, being allowed into the cosy, yet sometimes fraught beginning of a life is really everything I could ask for. To add another layer to this session, Morwenna is a childhood friend of mine. 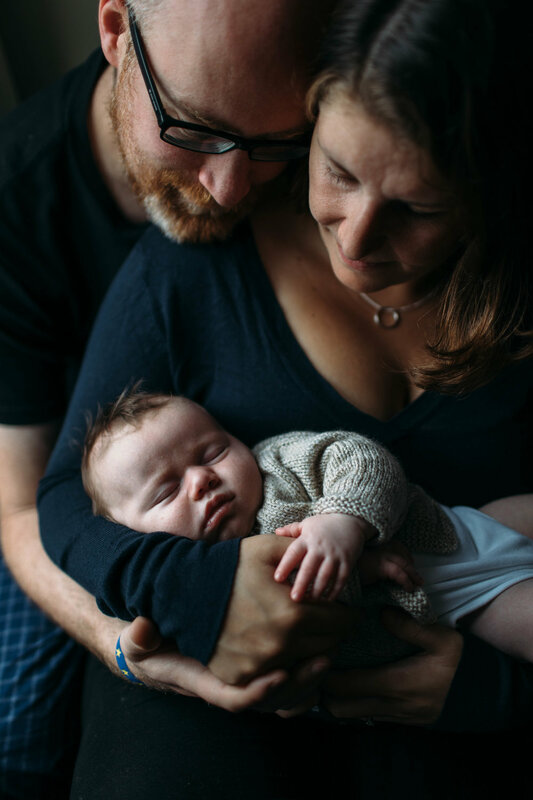 We went to school together, had sleepovers together, hated maths together…and now, over 20 years later to be asked to photograph her six week old baby…it’s so special. I got a little emotional while shooting some of these images, when baby Felix fell asleep in his mama’s arms and everything went quiet. I felt my own baby kick in my belly, all while hearing nothing but the click of my shutter as I photographed the new baby of one of my oldest friends. It’s times like this I really understand what photography means to me, and to the people that hire me. That freezing of a fleeting moment in time, that grounding into the present, and that ability to let yourself be seen as human. To say we’re here, and although we aren’t perfect, we are doing our best and we are bursting with love. That’s perfection, to me. Showing up just as you are.